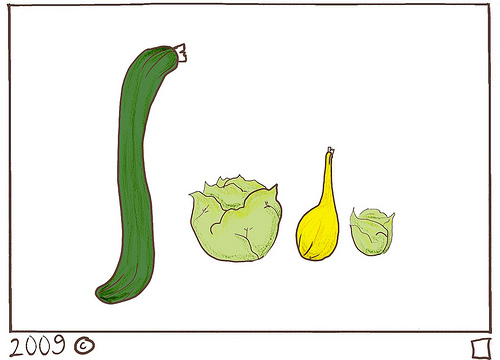 Sometimes, I just want to draw vegetables. Leave a comment below explaining this expression, and I’ll send postcards to my favorites. *First time commenters, don’t panic if I don’t moderate your caption immediately. I’m flaky, but I’ll moderate it soon.